Purchase Theraplay products locally in the UK today! 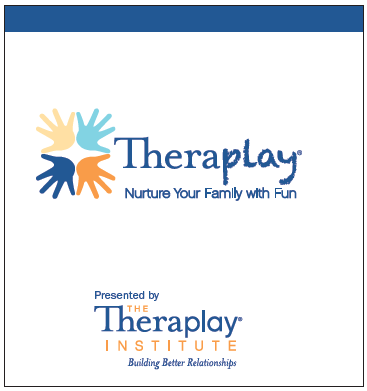 For more Theraplay products visit The Theraplay Institute’s online store. 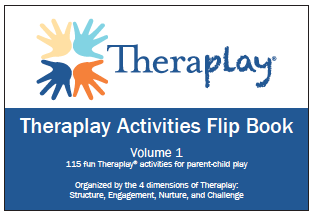 Detailed instructions for over 80 Theraplay activities, color coded by the four Theraplay dimensions (Structure, Engagement, Nurture, Challenge). 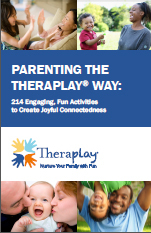 Great for planning treatment sessions and for parents. 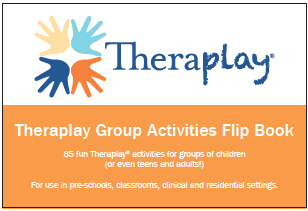 Instructions for 85 Theraplay play group games to quickly and easily guide you through planning play group sessions. Learn how to incorporate playful interaction into your daily life and become physically and emotionally closer to your children. Includes games to be played one-on-one and as a family, as well as games you can play while waiting, in the car, while you are away, or saying “goodbye”. Available for purchase at AdoptionUK or CairnsMoir Connections. 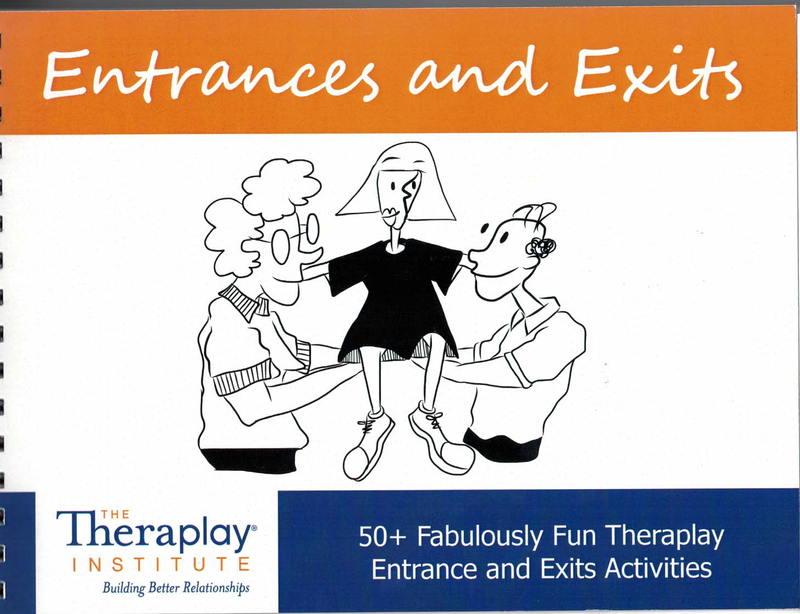 In just under ten minutes, this video provides a brief history and overview of Theraplay®, from its beginnings in Chicago’s Head Start in the 1960’s to the internationally practiced and respected treatment modality of today. The footage was originally shot for the video, Playful Interaction, produced by the Texas Christian University’s Institute of Child Development. Available for purchase at CairnsMoir Connections. By providing an overview of Theraplay and the psychological principles that it is based on, parents and carers will gain an understanding of the basic theory of the model along with practical ideas for applying Theraplay to everyday family life. 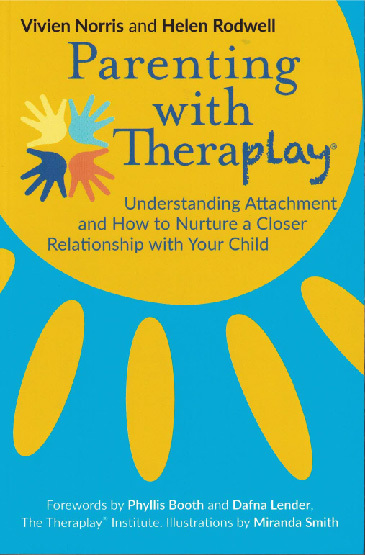 Through everyday case studies and easy language, parents will gain confidence and learn new skills for emotional bonding, empathy, and acceptance in the relationship with their child. And the child’s ability to respond to the caregivers’ efforts. 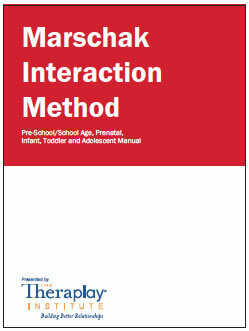 The manual for the administration and observational analysis of the MIM includes includes activity cards and recommended task lists for each age group. The Second Edition of the Sunshine Circles ® Manual is now available! 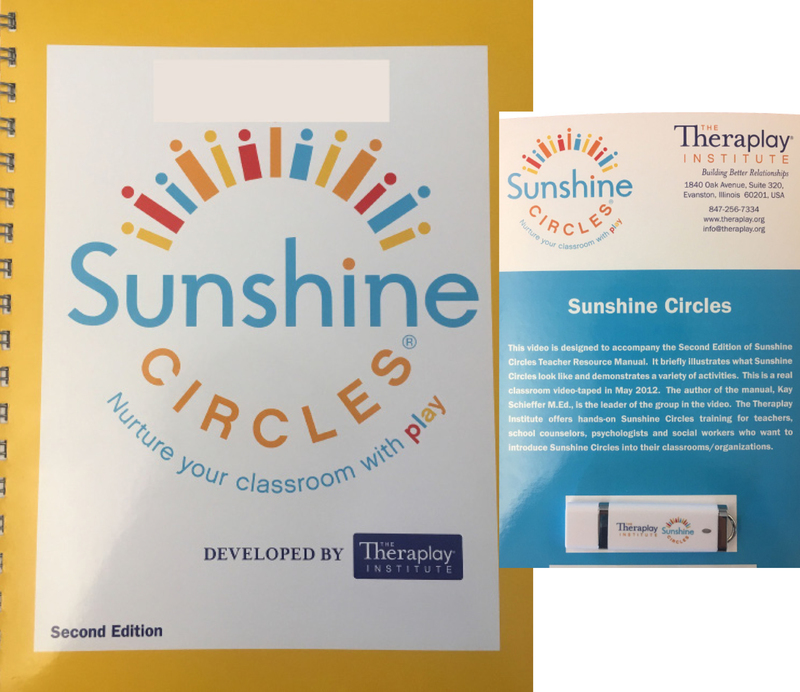 ​With more activities, songs and helpful tools for classroom groups, this manual will help you create a fun, productive and safe environment to enjoy your Sunshine Circles ®! Learn how to introduce this amazing social-emotional development group to your school. Sunshine Circles ® are teacher-directed and structured, but rather than talking, the teacher leads playful, cooperative and nurturing activities. Sunshine Circles are 99% interactive and create an atmosphere of fun, caring, acceptance and encouragement that leads to better social, emotional and even cognitive development. Start every session with your best foot forward! 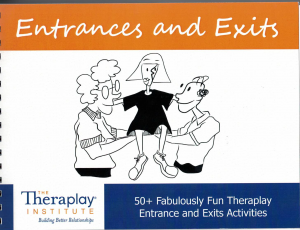 This new book contains over 50 fun ways to get clients into the room and ready to engage. The book contains easy to follow instruction with whimsical illustrations as a reference.